(Camden, NJ) – A concert at Wiggins Waterfront Park scheduled for tonight has been cancelled due to unfavorable weather conditions. 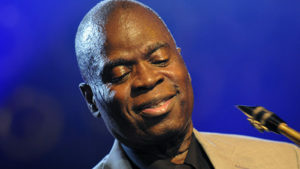 There is currently no information regarding rescheduling for the concert featuring saxophonist Maceo Parker. Updated: This concert has been rescheduled for Tuesday, August 8th, 2017 at 8PM at Wiggins Waterfront Park. Fans and concert-goers can continue to check camdencounty.com for information regarding the rescheduling of this concert, and for information about the many other exciting events taking place in the county this summer.